Discuss products that are in the mature stage of the product life cycle. What products are in this stage? How are they marketed? Next, discuss various marketing strategies that can be used in the mature stage. Poll students and list on the board: all the gum and candy products that they have purchased or know about. What are the reasons that people buy gum and candy? What are the distribution points? Divide students into teams. Have each team select a gum product, determine a target market, messaging, and campaign. Clean underwear can make us feel good. And when we feel good, we act more positive. At least that’s the premise behind Fruit of the Loom’s new social media campaign. Using information from LinkedIn, the company is giving away 25,000 fresh pairs of new underpants to people who get new jobs and change their status on LinkedIn! Social media is tightly integrated throughout the campaign. The lucky recipients receive a note from Fruit of the Loom asking them to pick a size and style, as well as select whether they want to let everybody else on Twitter, Facebook, and LinkedIn know about their freebie. 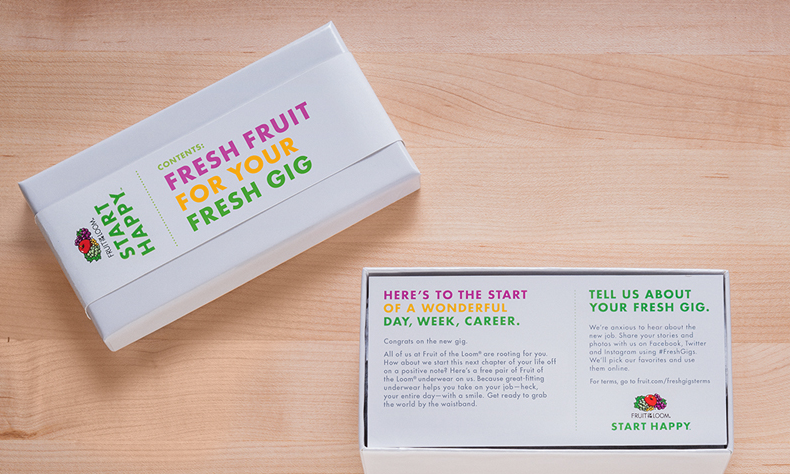 The campaign is titled “Fresh Gigs” with a message that a fresh pair of underwear makes each day start a little better. The campaign will likely make moms happy, too. After all, don’t most mothers say not to leave the house in ratty undies? 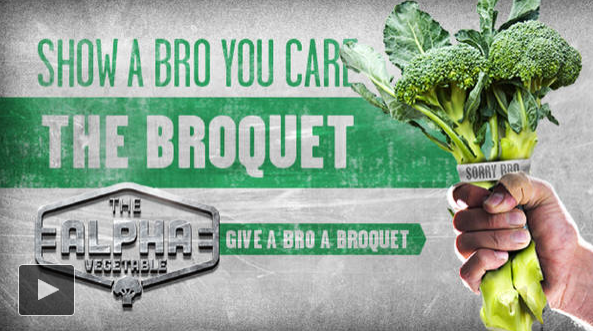 This campaign helps people show a little respect for their new jobs. 2. There are a variety of statistics and figures on the site – scroll down the page to view interactive media and video explaining the program. 4. Discuss the tactics that are integrated into this campaign. What elements are included? Is there anything else that could be added? 5. Using this campaign as the base, divide students into teams. Have each team develop an integrated campaign for another personal product. 6. Determine target market, key messages, and elements of the campaign.